Those of you visiting the Norwegian capital, will experience severe disruptions in train and subway services in June 24t to August 6th. This due to maintenance work on the infrastructure on rails and in the tunnels under the city. IMPORTANT MESSAGE to tourists visiting the Norwegian capital this summer. Be aware that bus will replace airport express trains for travelers from stations between Drammen and Oslo Central Station from June 24th to August 6th 2012. The bus service will bring you to Lillestrøm outside Oslo, from where you will change to the airport express train. This will result in severe delays, and do consult your hotel on how much extra time you will need in order to catch your train. 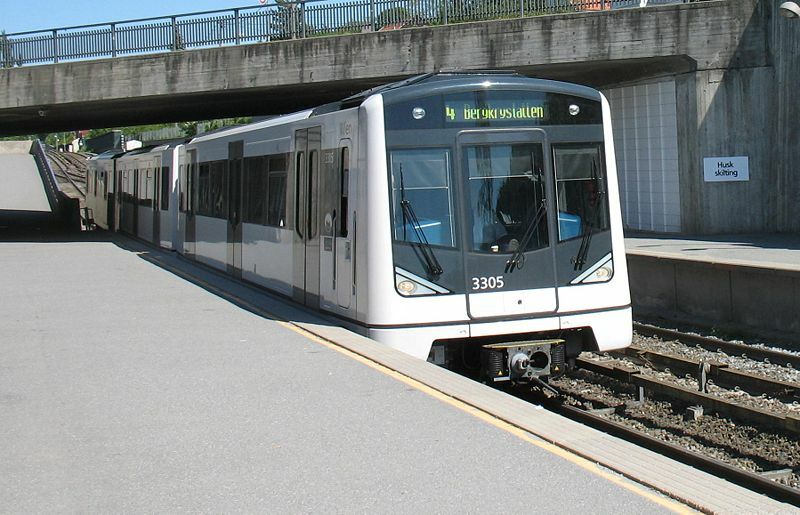 This maintenance work will affect all suburban, regional, and intercity services in the Oslo area as well. Parts of railway network of Oslo. Red indicates stretch under removation. Blue lines indicates stretches operated by bus.